Taking back control was the major selling point of Brexit. But people are also concerned about their chances of survival in road crashes and the quality of the air they breathe. The hard reality is, that outside the Single Market, Britain will become just a second-hand dealer in European Union (EU) vehicle safety and emission standards. ‘Not so’ according to Britain’s Prime Minister, Theresa May, who claims there are international regulatory systems that we can rely on post Brexit. In her Mansion House speech last March, she argued that many EU product rules “are underpinned by international standards set by non-EU bodies of which we will remain a member – such as the UN Economic Commission for Europe (UNECE), which sets vehicle safety standards”. By going global, Mrs May implies, Britain has nothing to lose. But her argument displays woeful ignorance of the reality of rule setting in the UNECE which is dominated by one large block of nations – you’ve guessed it, the EU. The UNECE’s World Forum for Harmonisation for Vehicle Regulations based in Geneva is an important global standard setting body. Today, 54 governments are parties to an international agreement for ‘type approval’ regulations that are critical to the safety performance of vehicles on our roads. At its meetings in Geneva about 38 governments usually attend including EU Member States but with a crucial difference; the EU vote together as a block of 28 countries. Decisions in the World Forum require a four-fifths majority but this is easily achieved by the EU. So, Therese May got it backwards; it is EU decision-making that underpins the adoption of UNECE regulations and not the other way around. Ahead of key votes at the UNECE, the EU Member States approve a so-called ‘mega decision’ which determines how the European Commission will vote on their behalf (See here an example of a Commission ‘mega decision’ proposal for the March 2018 UNECE World Forum). These voting decisions are prepared in advance by meetings of experts from Member States who also play a key role in the UNECE process. By acting together, and sharing their sovereignty, EU Member States gain the greatest influence. Post Brexit, of course, the UK will be free to exercise its sovereign rights to vote as it likes on new UNECE vehicle standards. But this will be a kind of ‘mini-decision’ to be taken alongside the ‘mega decision’ already taken by the EU. And most likely we will vote the same way as the EU to avoid being on the losing side. So, outside the EU, even in the UNECE, the UK will effectively be just a rule taker. This relegation to the second division in automotive regulations will have serious consequences for British consumers. Motor vehicles are among the most heavily regulated products in the world. And this has made cars much safer than ever before. 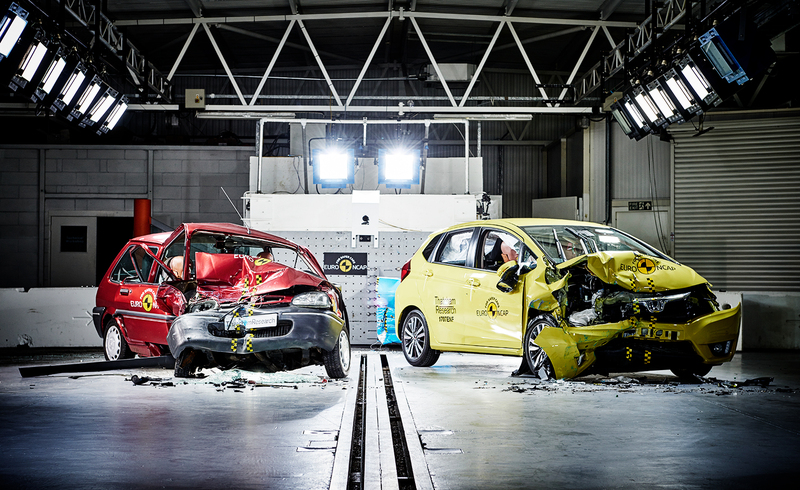 For example, twenty years ago, largely though UK influence, the EU adopted new crash test standards that have succeeded in halving the number of car occupant deaths (See: Making An Impact: How the UK led a European Wide Campaign to Make Cars Safer). The car manufacturers fought to delay these improvements at the time, but they were defeated because it was possible to gain overwhelming support from other EU governments and the European Parliament. Post Brexit, with the UK acting alone, it will be far harder to challenge the lobbying power of the automotive industry. Dieselgate exposed the lengths to which vehicle manufacturers were prepared to go to avoid compliance with regulations to protect air quality. Volkswagen’s blatant cheating of US diesel emission standards also exposed weakness in the EU’s regulatory system. These are now being tightened and more needs to be done to make cars both cleaner and safer. Last month the European Commission issued important proposals for mandatory fitment of new crash avoidance technologies such as autonomous emergency braking. Assuming we leave the EU next March, the UK will still have to decide whether to adopt them. Given their life saving potential it would be remarkably negligent not to do so, but, of course, we will again be a rule taker, not a maker, regardless of our membership of the UNECE. Theresa May is also hoping that Donald Trump will come to the rescue with a free trade deal that will boost the UK automotive industry. The recent US unilateral imposition of trade tariffs makes that look implausible. But that’s not all. In April the UN General Assembly adopted an important resolution on road safety calling on Member States to apply minimum safety standards and make greater use of the UN’s vehicle regulatory system. At the end of the General Assembly vote the US delegation took to the floor to specifically disassociate from these recommendations and express “serious concerns” at any encouragement of other Member States to use the UN’s vehicle regulatory agreements1. For Theresa May, the Trump administration’s attempt to undermine the role of the UNECE couldn’t be more ill-timed as it shreds the naïve reassurances of her Mansion House speech. Adding fuel to the fire, President Trump recently complained that pedestrian safety standards in Japan are being used as an ‘unfair’ trade practice to prevent entry of some US cars. In fact, Japan and the EU have been applying an EU/UNECE pedestrian protection regulation to soften car fronts since 2005. The US has no equivalent standard even though their number of pedestrian fatalities have increased 46% since 2009. So, an automotive free trade deal with Trump may require making our cars less safe for pedestrians. Perhaps that’s a price Theresa May is willing to pay, but I suspect it will scupper the prospect of including automobiles in any future UK-US free trade deal. In leaving the EU, the UK will be withdrawing from a complex eco-system of vehicle regulation that has hugely improved car safety and saved tens of thousands of lives. This has profound implications for the interests of the public and our automotive industry. The Government is wrong to think that membership of the UNECE can side step the negative impact of Brexit. We will be less influential there, following rather than leading discussions in Geneva about future regulations. We will also be unable to participate in the EU’s framework programme for research and innovation that is closely related to the automotive regulatory process. This will harm our universities, research laboratories, and automotive suppliers. At a time of great innovation and change in the motor industry this is extraordinarily shortsighted. To sort out this Brexit mess, it is time that reality and a hard-headed assessment of the UK’s national interest should take precedence over the vague assurances offered by Theresa May. To retain a strong influence in global automotive policy making we need to remain in the Customs Union and the Single Market. This should be negotiated with a specific agreement to maintain UK participation in motor vehicle policy making both in Brussels at the EU and in Geneva at the UNECE. That is the way for us to keep some ownership of a rule making process that is vital for our vehicle manufacturing industry, environmental protection, and the safety of millions using our roads. 1 This is despite the fact that the UNECE adopted a specific agreement in 1998 to encourage US participation in standards harmonisation in which votes are adopted by consensus and the EU plays a less dominant role.